1. No Deposit bonus is available only once to trading account of type Standard of new client before making trading operations. 2. Getting the bonus will be available only in the case of complete verification of client’s personal data. 3. You can get "No deposit bonus" during 5 working days from the date of account registration. 4. No deposit bonus is equal to 15 $ (or equivalent in EUR, RUR). 5. Trading account received No deposit bonus can participate in other actions, services and competitions of company only after the bonus will be fully worked out. 6. From trading account connected to the partnership program fees charging will take place only after the bonus will be fully worked out. 8. 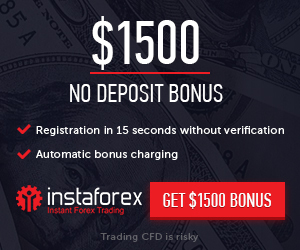 To receive the bonus client must send a request to our e mail manager@forex m.com, specify the login of trading account and commentary "No Deposit Bonus". 9. Withdraw funds from your trading account will be available after fully working off of all conditions. When replenishing trading account during the working off bonus, for withdrawal will be available only the amount equal to the sum of Deposit.